AP — When Prime Minister Benjamin Netanyahu has run into political trouble in the past, he has lashed out at the media, the political opposition and Israel’s Arab minority with incendiary and divisive language to galvanize his nationalist base. 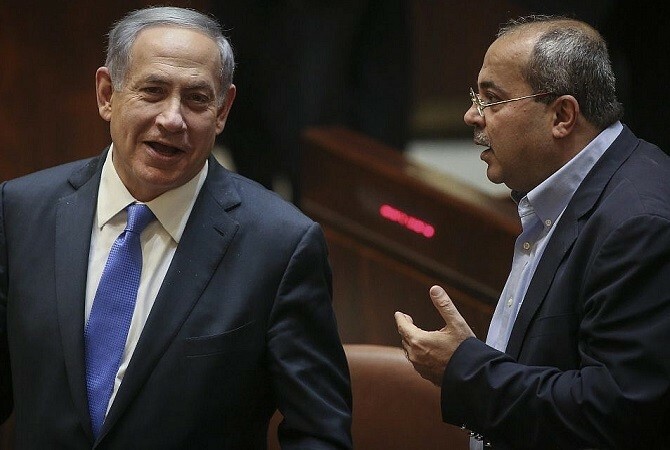 Ahead of April 9 elections, Netanyahu has zoned in on prominent Arab lawmaker Ahmad Tibi. The Israeli leader, slumping in the polls after the dramatic announcement of his pending corruption indictment, is portraying Tibi as a threat to national security in a charged campaign that critics say questions the loyalty of the country’s Arab citizens. Using his own nickname, Netanyahu has been repeating a campaign mantra: “Bibi or Tibi.” The snappy slogan, eagerly parroted by his hard-line allies, highlights Netanyahu’s efforts to paint his challengers as weak “leftists” conspiring with Arab Israelis and a hostile media to oust him. It also shines a spotlight on Tibi — an affable, media-savvy political veteran who speaks fluent Hebrew. Tibi is known for his harsh criticism of government policies toward the country’s Arab citizens and toward Palestinians who live under Israeli control in territories Israel captured in 1967. “Until this week, I didn’t know that against my will I was a leading candidate for prime minister,” he said with a smile from his home in an Arab neighborhood of Jerusalem. Despite the humor, Tibi said he is concerned about what he views as Netanyahu’s attempt to demonize Israel’s Arab minority. Arabs make up about 20 percent of Israel’s 9 million residents. They hold full citizenship rights but have faced decades of discrimination. The outgoing Netanyahu-led government further stoked tensions by passing a controversial law that defines Israel as the nation-state of the Jewish people. 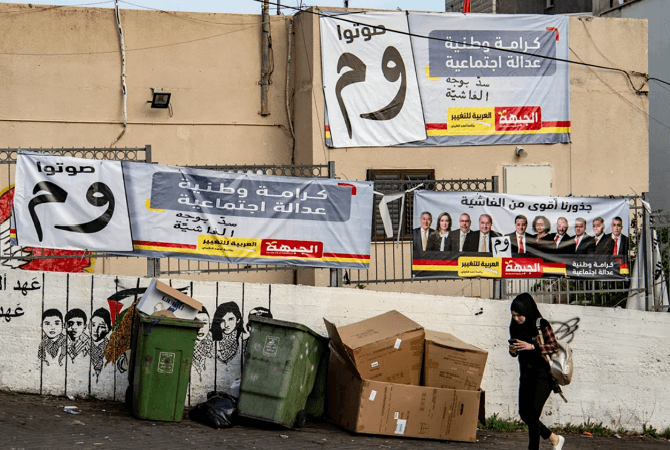 A parliamentary panel recently recommended banning an Arab party from running in the election, while Netanyahu has courted anti-Arab extremists in hopes of improving his re-election chances. Part of Netanyahu’s typical stump speech these days alleges that his prime challenger, ex-military chief Benny Gantz, will be unable to build a ruling coalition without the backing of Arab parties. Arab parties never sat in an Israeli coalition government, and they say they have no interest in doing so now. Gantz has been quick to reject the association, flaunting his tough military record of pounding Gaza militants and saying he would not rely on the Arab bloc in the Knesset to stabilize a future government. The charge nonetheless is part of the Netanyahu campaign playbook that has worked before. 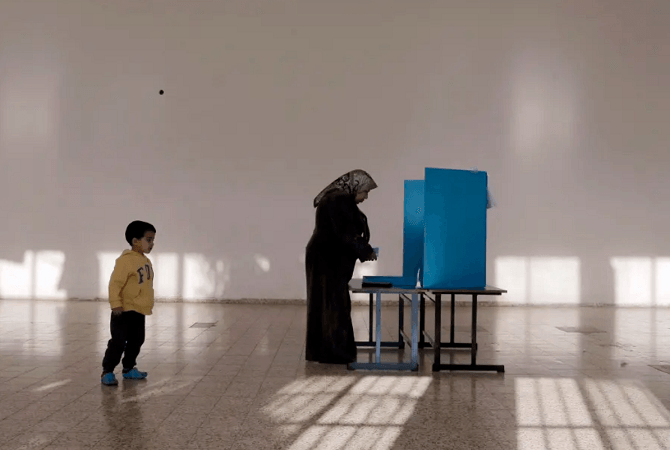 Fearing a possible loss on election day in 2015, Netanyahu mobilized his supporters by releasing a frantic midday video in which he warned that Arab voters were heading “in droves” to the polls. The move, for which he later apologized, appeared to help turn the tide and secure another term for him. If he wins again, he’s expected to walk back his rhetoric once more, said Yohanan Plesner, president of the non-partisan Israel Democracy Institute. Plesner said Netanyahu tends to speak in two voices about the Arab minority. He said Netanyahu has earmarked unprecedented budgets to Arab communities to try to close the wide economic gaps between Arabs and Jews. 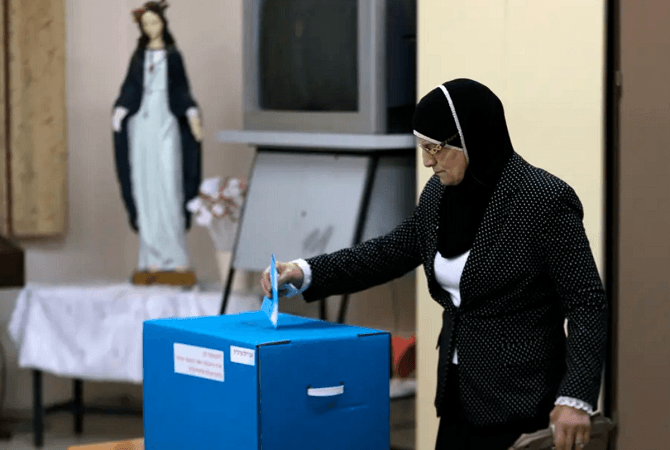 Such rhetoric will encourage more Arab voters to sit out the election, said Thabet Abu Rass, co-director of the Abraham Fund Initiatives, a non-profit dedicated to promoting equality in Israel. At the same time, many Israeli Jews, especially among Netanyahu’s right-wing base, consider the Arab minority disloyal for sympathizing with the Palestinians and other Arab adversaries. A decade ago, Arab lawmaker Azmi Bishara fled into exile after he was accused of spying for Hezbollah — a charge he denied. 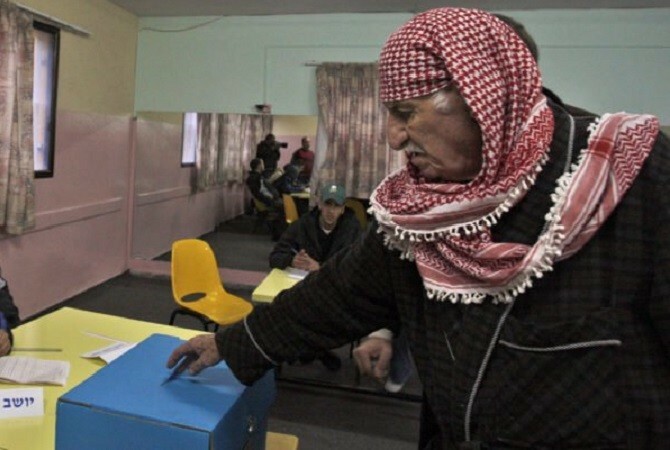 The 60-year-old Tibi illustrates many of the contradictions faced by Israel’s Arabs. He’s worked as a gynecologist in Israeli hospitals and served for years as a member of Knesset, but also advised Yasser Arafat, the late Palestinian leader. For the past two decades, Tibi has advocated for Arab rights in Israel and for a Palestinian state. Hard-line lawmakers frequently brand him a fifth-column in the Israeli legislature. But he is also considered the most popular Arab lawmaker, even among Israeli Jews. He is a regular on their television screens, known for his witty quips. In the Knesset, he’s earned praise for his environmental and consumer legislation and for his promotion of Holocaust commemoration that touched many Jews. But he makes no qualms about wanting to unseat Netanyahu, whom he accuses of “Arab hatred” and of leading Israel down a dangerous path by deepening control over the West Bank and its millions of Palestinians.